Once in a while I pick up a crime novel that literally blows me away. Cemetery of Swallows is one of them. By the last few chapters I was literally talking to the main character out loud saying "come on! I know you'll figure this out! I know there's got to be a logical explanation!" I don't tend to get that excited in the normal course of crime reading, but this book put me through the wringer and kept me there up until the last minutes. Since he is fond of Julie, and because of the family Manuel left behind, Mallock decides to get involved, and soon he is on a plane to the Dominican Republic to bring Gemoni home. 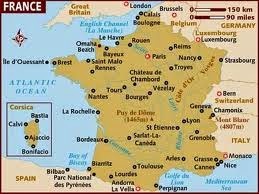 As things turn out, getting him back to France is the only easy part of this entire case. To help him, Mallock and his very talented team will have to find out what actually happened and more importantly why Gemoni would kill someone he didn't even know. He faces not only prison time in France, but a return to the Dominican Republic for trial where it's highly unlikely he'll stay alive to even go to court. They have to find something that will provide Gemoni with a reasonable defense. But after hearing Manuel's side of things, they realize that they have only the slimmest of margins for success. "confronted by either a brilliant actor -- a possibility that could never be excluded -- or one of the annoying enigmas that life sought to put in his way. A third possibility: Manuel was simply crazy. Schizophrenia could explain the twofold feeling he had with regard to this crime. For a moment he began to hope that the psychiatrist would confirm the young man's insanity. Wasn’t that the best solution? They take him home and have him cared for. He’s put in a psychiatric hospital and the case is closed. Then he thought of Julie and was angry with himself." "Well then, since he cannot and must not be either mad or guilty, let’s go with the enigma, he said to himself." "experiencing, without being able to defend himself against it, a regular attack by the most militant irrationality. His world of deduction and synthesis could handle intuitions and even visions without too much difficulty, but no more." The usual politics and power plays, along with leaks resulting in a veritable media frenzy don't help Mallock or his cause either, but he continues to fight on, literally up to the last moment, either ignoring or cleverly surmounting the obstacles in his path. While I feel badly that I can't really divulge any more of the book than I have, sometimes less is way more, especially here because there are so many things going on that depend on the element of surprise and for that matter, shock value. And surprised I definitely was, not just in terms of plot, but also by how deeply involved I became in finding out the truth of things. When, as I noted in my first paragraph, I am actually talking to the main character because I want him to find the logical explanation for everything, I'd say that I was beyond engaged. That kind of reading intensity just doesn't happen with every book I read, but in this case, it's obvious that the author had his story well thought out way ahead of time. He pretty much had to -- this storyline is so twisty (and twisted in parts) that every new revelation opened up yet another can of worms. It's also obvious that he's given more than just a minimum amount of thought to his hero -- aside from the details about other cases that Mallock has solved, by the time I finished this book I felt like there was very little I did not know about him. Normally that never happens for me either. 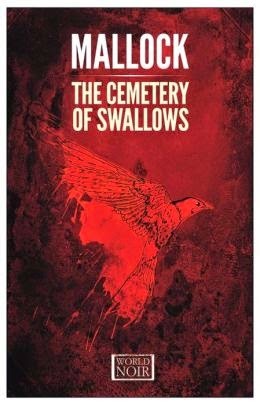 Cemetery of Swallows is a novel I can wholeheartedly recommend for readers of translated crime fiction and for readers who want something very different in the genre. It's one of those books where you literally have to wait until the very end -- only then does the light bulb go on and you get to the "aha" moment that for me is the payoff . This book is also genuinely innovative in terms of crime fiction reading, and I had a great time with it. I'm also going to buy every book that this man writes as soon as they're published. Well, you won me over, so much so that I'll put this in front of my TBR stacks and lists and look to find this. It sounds too good to miss, lots of intellectual challenges and quite a story and main character. It's really a question of how to find a logical, rational solution to a case that's anything but logical or rational. The getting there is twisty, but fun.